CODART ZESTIEN will travel to the city an der schönen blauen Donau. In cooperation with the Kunsthistorisches Museum, our annual congress will descend on Vienna in 2013. The choice of this destination and the reason why the congress will take place in April instead of March is the reopening of the Kunstkammer in March 2013, after being closed for more than ten years. Situated in the heart of Europe, Vienna has a political and artistic history that goes back for centuries. The city, which was built on Celtic and Roman foundations, flourished during the Middle Ages and the Baroque as the residence of the Habsburg dynasties. Around its royal court Vienna grew into a center of classical music, led by Gluck, Haydn and Mozart. The following centuries produced more world-famous composers, including Beethoven, Schubert and Strauss. In the second half of the nineteenth century, the city was transformed into a modern metropolis when the city walls – built in the sixteenth century to protect the city from the Turks – were demolished to make way for the Ringstraße, a Hausmannian boulevard circling the inner city. Around the turn of the century, Vienna became a universal hub of art and architecture, led by the Secession, the psychology of Freud and the philosophy of Wittgenstein. After decades of recovery from the Second World War, Vienna is again a lively European city of classical elegance and distinction. At the beginning of the twentieth century, Vienna was the scene of explosive creativity in all fields of art, philosophy and science. In the autumn of the Austrian-Hungarian double monarchy, the capital grew into the cosmopolitan centre of European culture, in which a new elite, composed mainly of Central European Jews, pursued their own ideal of the Enlightenment. This was something that had not been seen in the Western world since the blossoming of Athens in ancient Greece. With Arnout Weeda, author of Het mysterie van Wenen (The Mystery of Vienna) (De Bezige Bij, 2011) and a board member of CODART, you may take a walk through the city on Sunday afternoon, following in the footsteps of such luminaries as the Secession painter Gustav Klimt, the architects Adolf Loos and Otto Wagner, the composer Gustav Mahler, the satirist Karl Kraus, the philosopher Ludwig Wittgenstein and the psychoanalyst Sigmund Freud. We will also seek out the writers of Jung Wien (Young Vienna) in some of their most famous coffee-houses. For the official start of the congress we will go to the Rathaus, where participants can register and raise a glass to toast the events of the coming two days. The town hall, which was built between 1872 and 1883, is one of a series of impressive buildings erected on the Ringstraße at the end of the nineteenth century. The architect, Friedrich von Schmidt, drew inspiration for his design from the Flemish Gothic, taking as his example the town hall on the Grande Place in Brussels. At this festive opening reception, we will be the guests of the city of Vienna. Most of the program for CODART ZESTIEN will take place in the Kunsthistorisches Museum. Emperor Franz Joseph I had this museum – and the Naturhistorisches Museum opposite – built in 1891 to house the imperial collections. The collection of paintings was transferred here from Belvedere Palace, where it had been open to the public since 1781. The present building on the Ringstraße contains, in addition to the Picture Gallery, the Collection of Greek and Roman Antiquities, the Egyptian and Near Eastern Collection, the Coin Collection and the Kunstkammer. Dutch and Flemish painting are well represented in the Picture Gallery; the collection takes up almost an entire wing on the first floor. 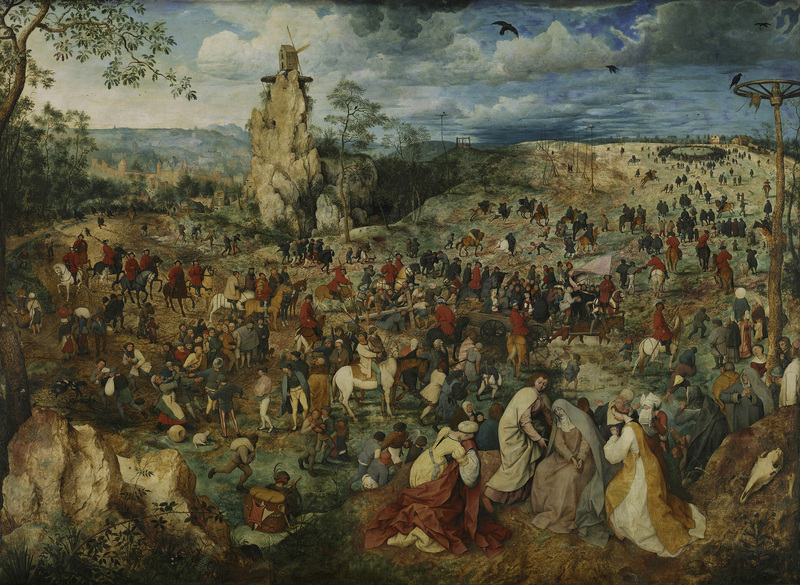 Thanks to the collection of Emperor Rudolf II (1552-1612), the museum boasts the largest holdings of works by Pieter Bruegel the Elder in the world. When Archduke Leopold Wilhelm (1614–1662) was serving as regent of the Southern Netherlands (1647-1656), he managed to acquire works by such first-rate masters of early Netherlandish art as Jan van Eyck and Rogier van der Weyden, as well as Flemish masterpieces of the seventeenth century by Rubens and Van Dyck, among others. In the following centuries, the Habsburgs’ collection of paintings was enriched by Dutch art, including works by Rembrandt, Hals, Ruysdael and Vermeer. On Monday the museum is open exclusively to CODART. The long lunch break will provide an opportunity to visit the collections on your own. True to tradition, a wide range of excursions will be offered on Tuesday afternoon. This year, in addition to in-depth visits to the KHM’s Picture Gallery and Kunstkammer, excursions are planned to the Albertina, the Picture Gallery and the Print Room of the Academy of Fine Arts and the Collections of the Prince of Liechtenstein. More information can be found on the excursion page. After the excursions, everyone is warmly invited to the closing reception at the Dorotheum. We look forward to another successful and fruitful congress.